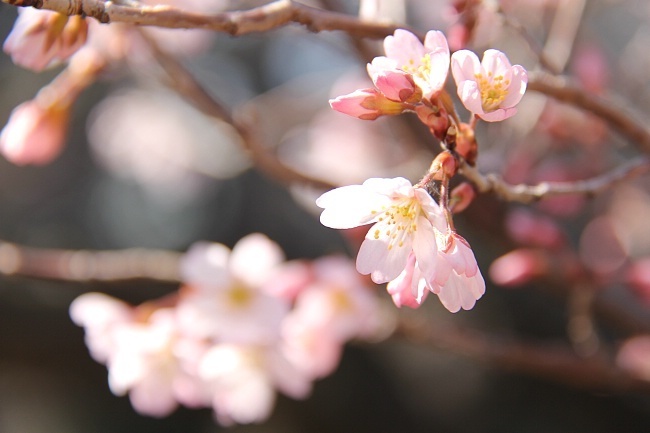 Today, as a prelude to the main cherry blossom season, we visited Tokyo to check out the state of the buds and to view some early blooming cherry tree varieties. After a cold winter, the temperatures have risen dramatically in recent days and are expected to be generally average or warmer than average in the following weeks as well. 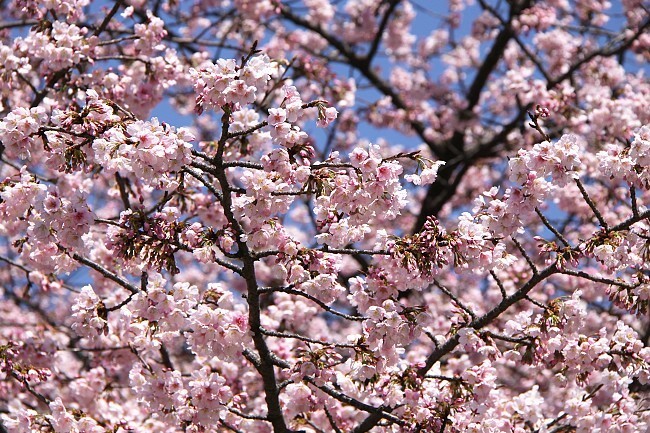 This means a relatively early cherry blossom season across the country. 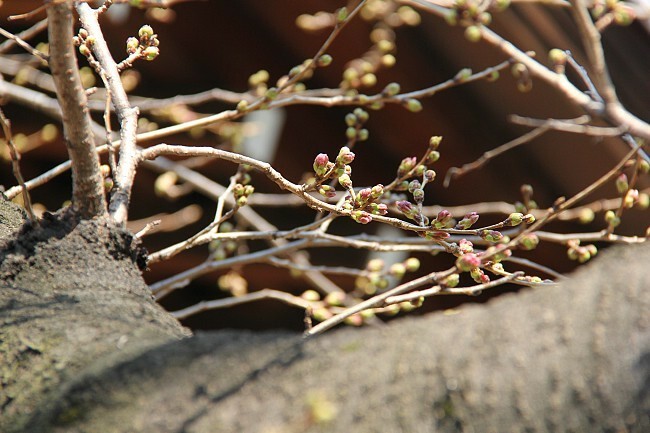 In Tokyo the trees are expected to start opening around March 17 with full bloom following about one week later (see forecast). 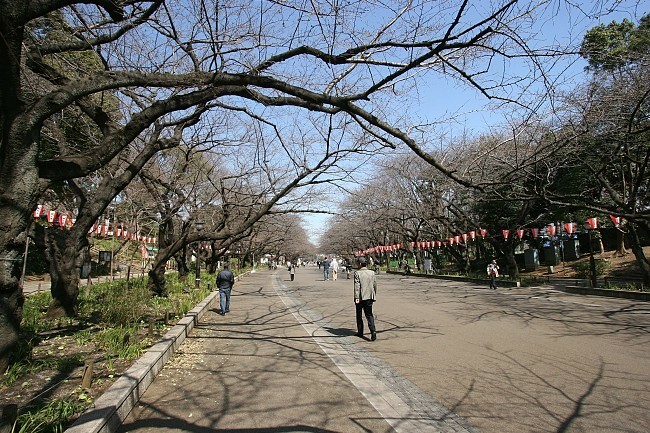 First, we headed to Ueno Park, where visitors currently can enjoy views of some early blooming cherry trees. 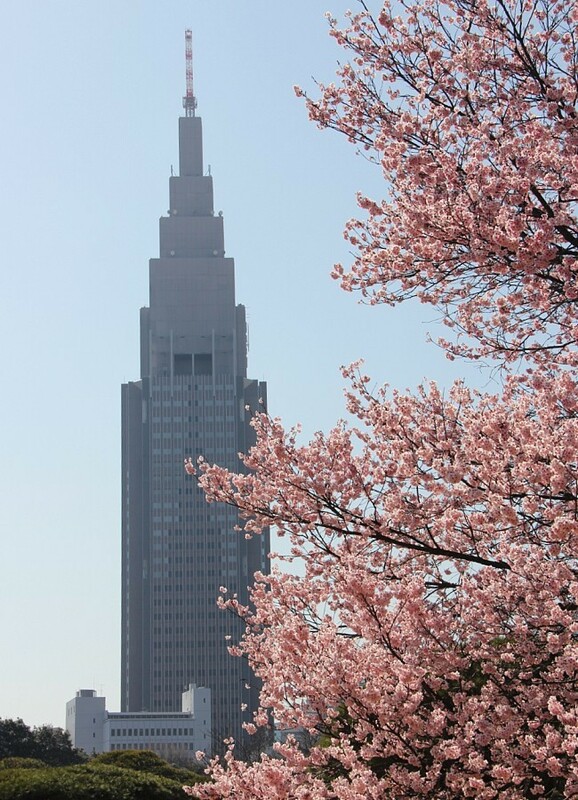 Two Okanzakura trees at the park entrance near Keisei Ueno Station were about half in bloom, while the weeping cherry tree (shidarezakura) between them has recently started to open. There were also a few Kohigan which have just begun their journey towards full bloom, and Kanzakura which were already beyond their peak. 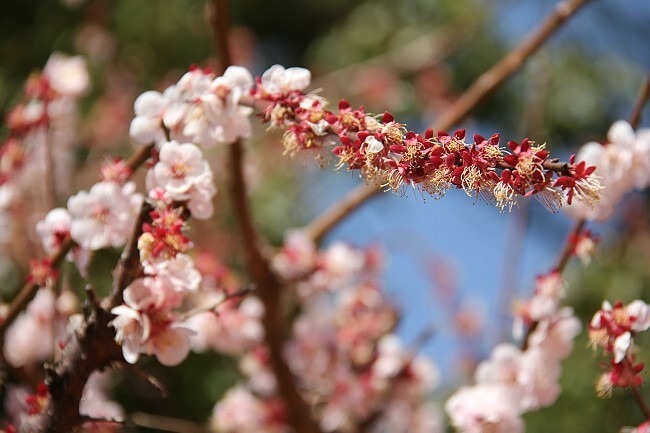 Close to the Bentendo Hall in the center of the park's Shinobazu Pond, several Kanhizakura trees were at full bloom, delighting visitors with their sweet, dark pink flowers. 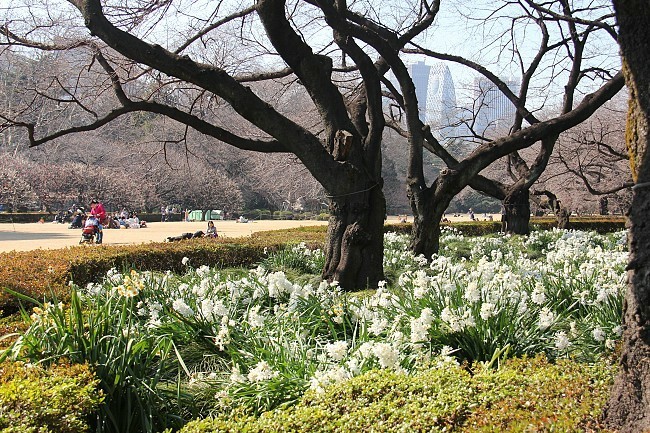 The main season at the park, however, starts with the blossoming of its famous rows of Somei Yoshino trees, which is expected to happen about a week from now. 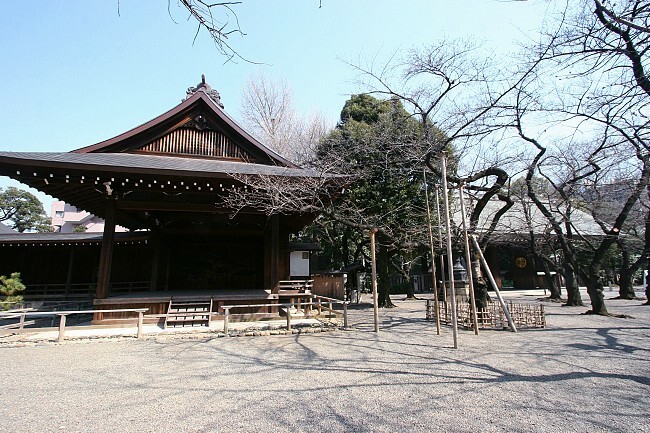 A short walk from Ueno Park is Yushima Tenjin Shrine, famous for its plum trees. 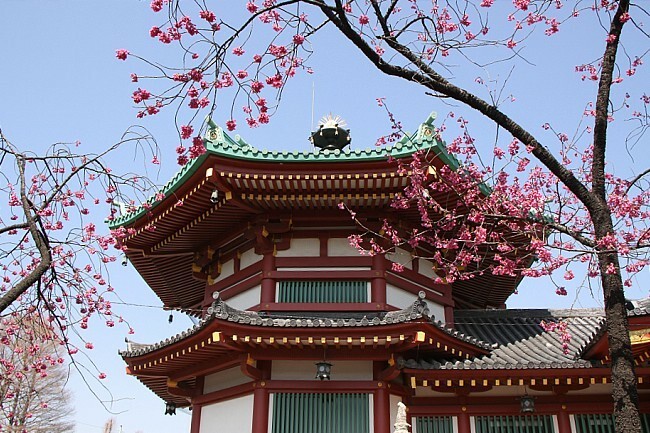 We made a quick stop at the shrine and found that in general the season for the plum blossoms has passed its peak, but pleasant views can still be seen as some late blooming trees still had their pretty flowers in full glory. Our next stop was at Yasukuni Shrine. 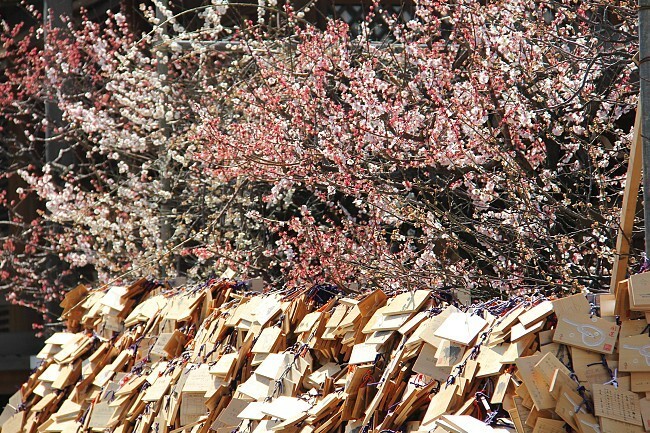 Every year we visit to check out the representative Somei Yoshino tree at the shrine, which is the official indicator of the start of the cherry blossom season in Tokyo. Today, we observed a few somewhat full-looking buds on the representative tree, and estimate that it would take about another week before the first petals start to unfold. 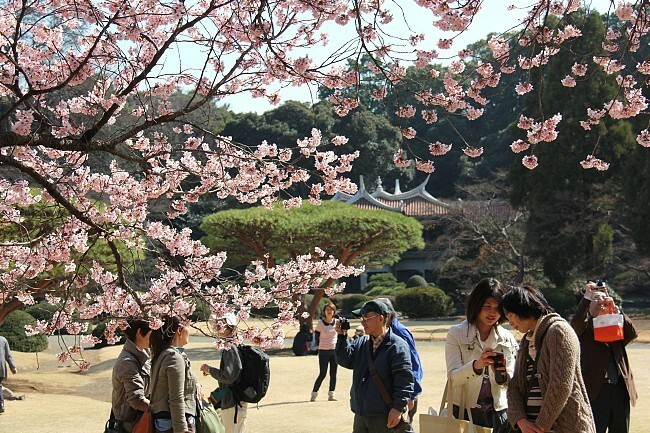 For those who are currently in Tokyo, Shinjuku Gyoen is a highly recommended location to see some early blooming varieties of cherry blossoms. 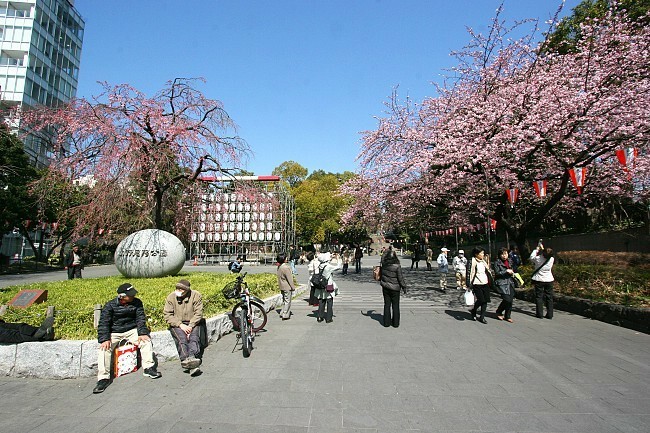 The huge park presents large beautiful open lawns, photogenic spots and many different types of cherry trees. 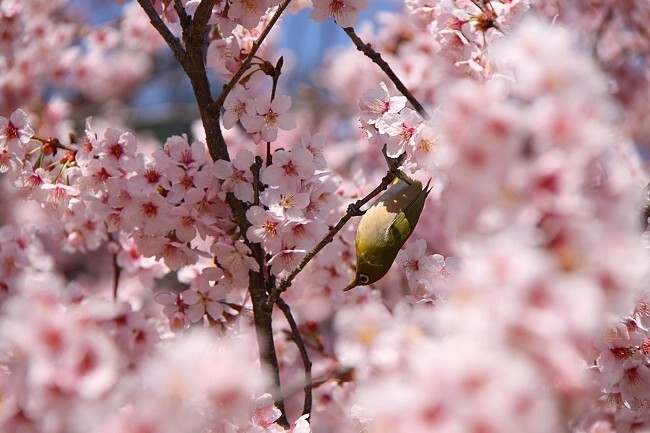 The group of large weeping cherry trees in the southeastern corner of the park just started to open their flowers, while small numbers of other species were already in bloom such as the Jugatsuzakura, Kawazuzakura and Tokaizakura. 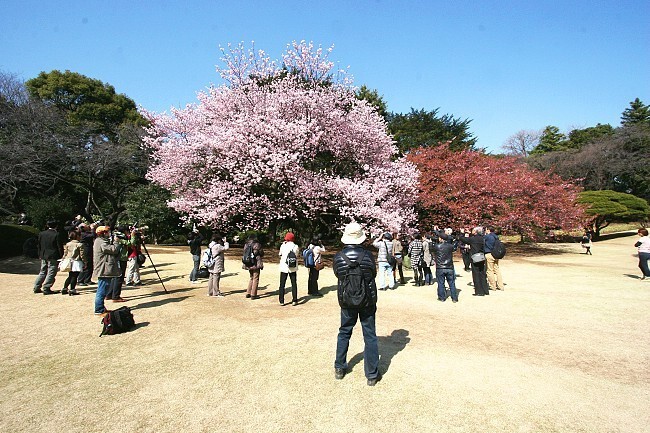 The most attention-grabbing specimen of the moment was a large Kanzakura tree at its peak in the center of the park, drawing lots of people snapping their cameras hungrily at it. 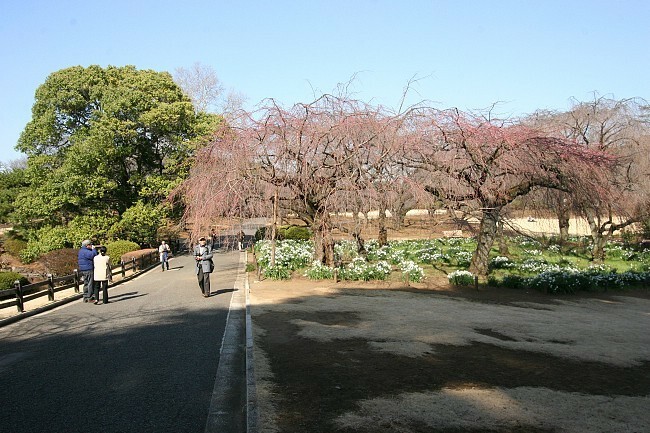 Interestingly, there were two other Kanzakura trees at close vicinity which, like the ones at Ueno Park, were already in decline with leaves more prominent than flowers. 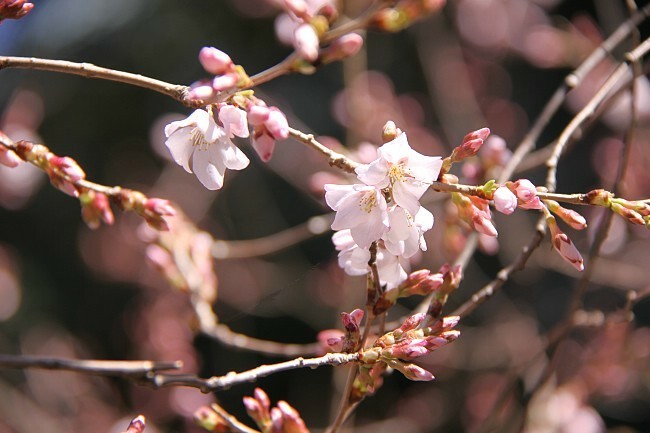 In the following weeks we will be visiting Shinjuku Gyoen again: the Somei Yoshino cherry trees are expected to start flowering in about ten days and reach full bloom a week after, and following that the late blooming yaezakura varieties will take center stage at the park.